Wyndham Santa Monica at The Pier is an Ideal location for small meetings, interviews, and intimate gatherings. Our well-designed 323-square-foot meeting space has everything you need for your next event. Complimentary WiFi, ergonomic seating, state-of-the-art audio-visual equipment, custom catering, and dedicated meetings manager. Planning a large wedding or event and need extra space for your party? We will take care of your friends and family like they were our own. Let the Wyndham Santa Monica at the Pier be your home away from home. 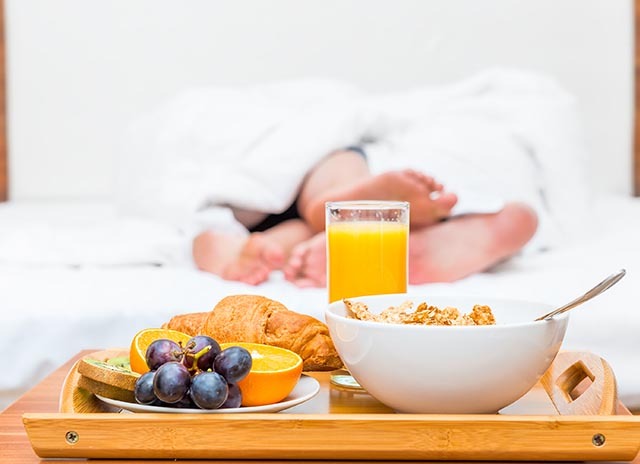 Enjoy a freshly prepared breakfast just for you with our Bed and Breakfast for Two Package. Rise and shine feeling refreshed with the perfect breakfast to start your stay at Wyndham Santa Monica At The Pier.